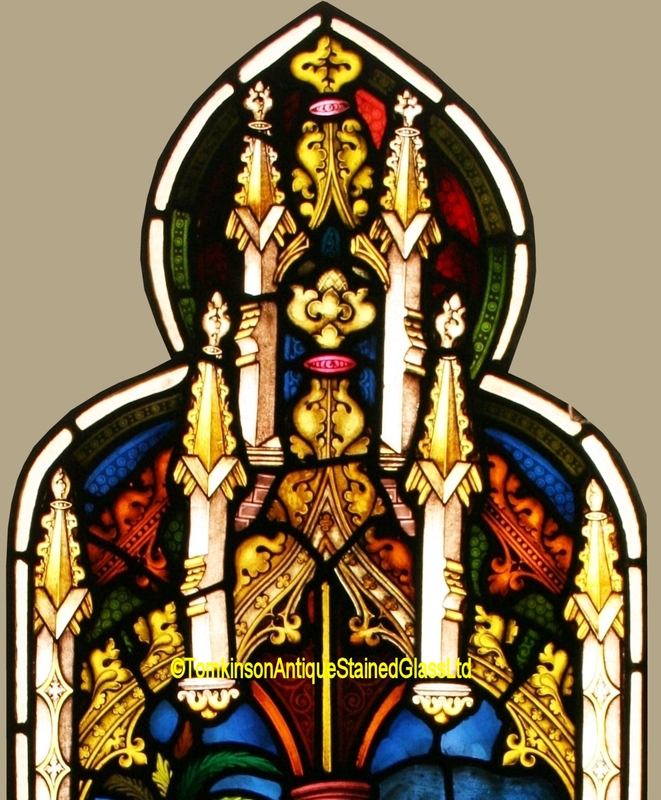 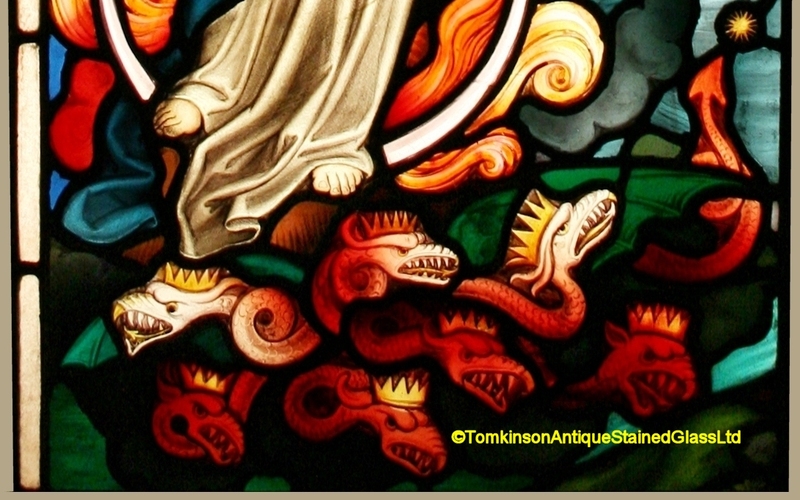 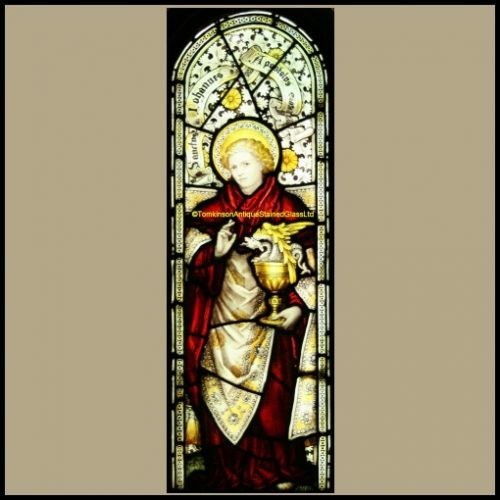 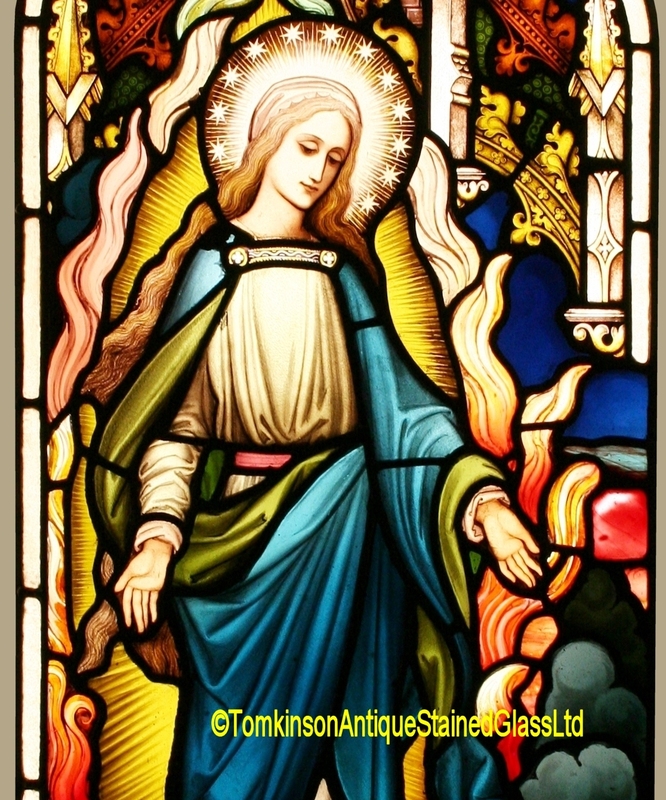 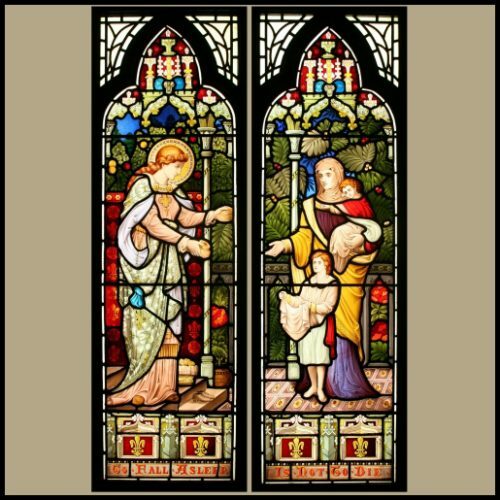 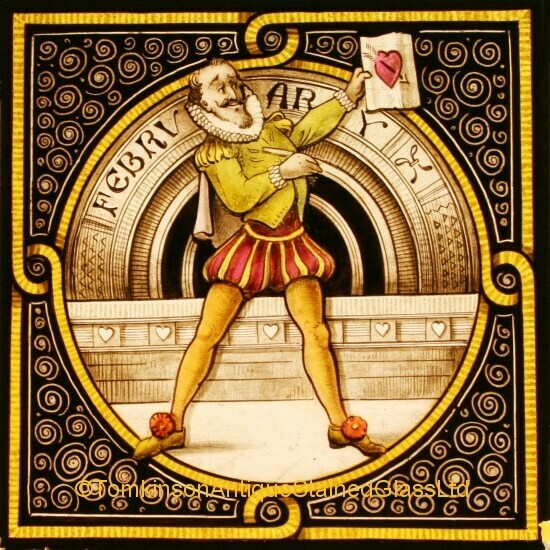 Pair of lancet windows, c1910, both hand painted depicting Mary, in a scene for the Book of Revelation, standing on Satan who is disguised as a seven headed serpent. 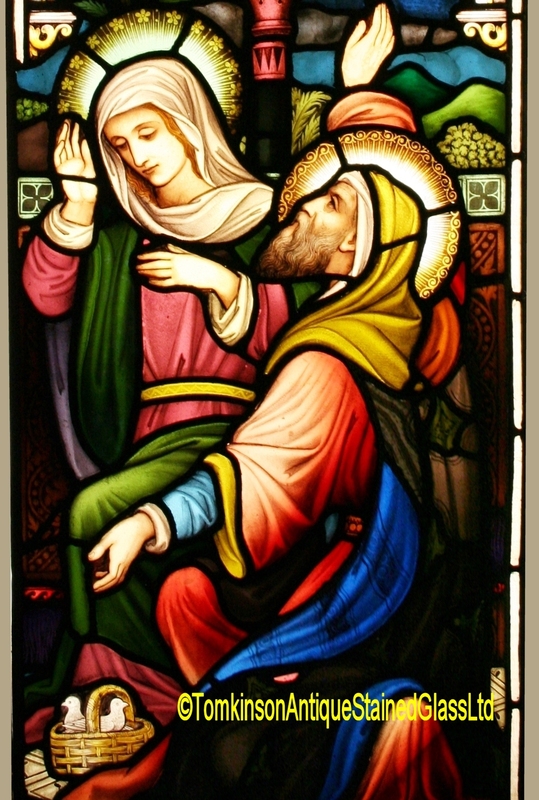 Other window shows Joseph and another female saint at her feet. 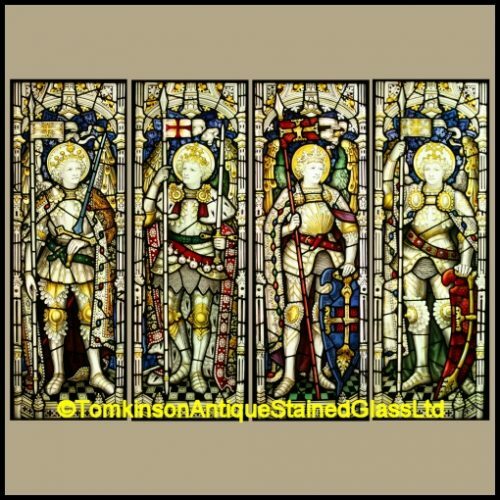 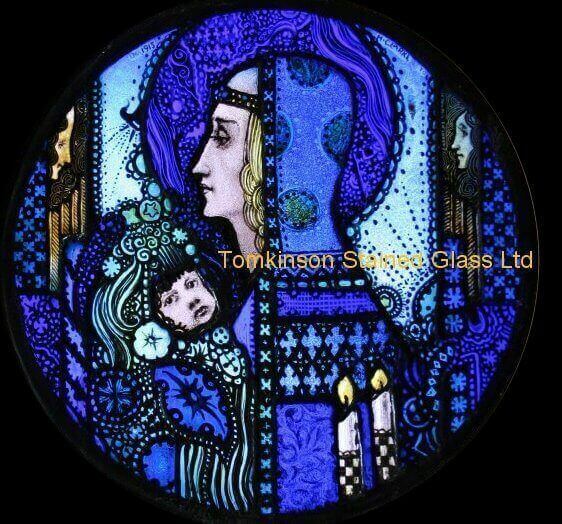 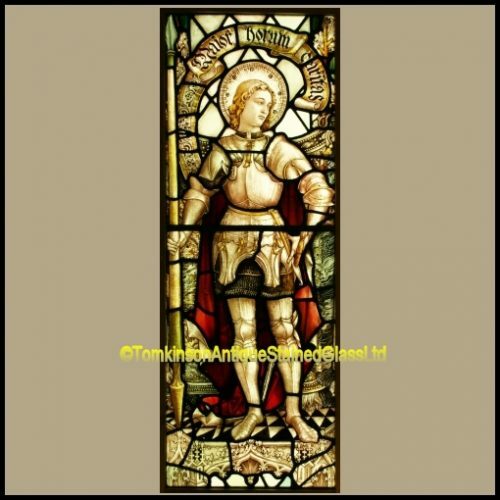 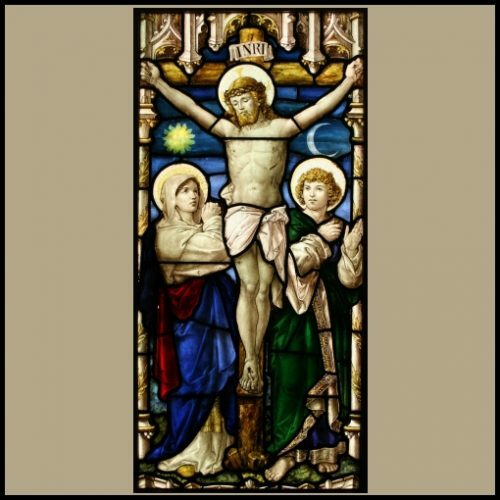 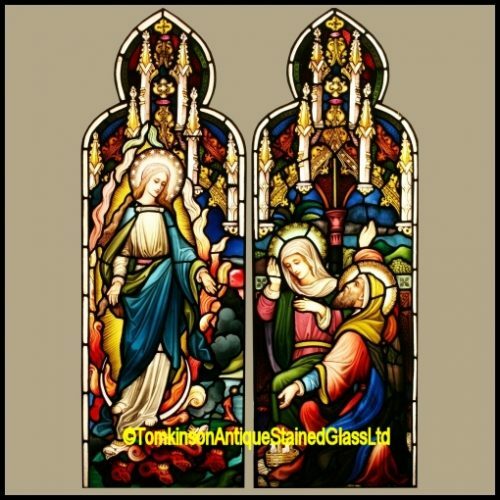 Beautiful windows, excellent quality, no fading and both in excellent original condition. 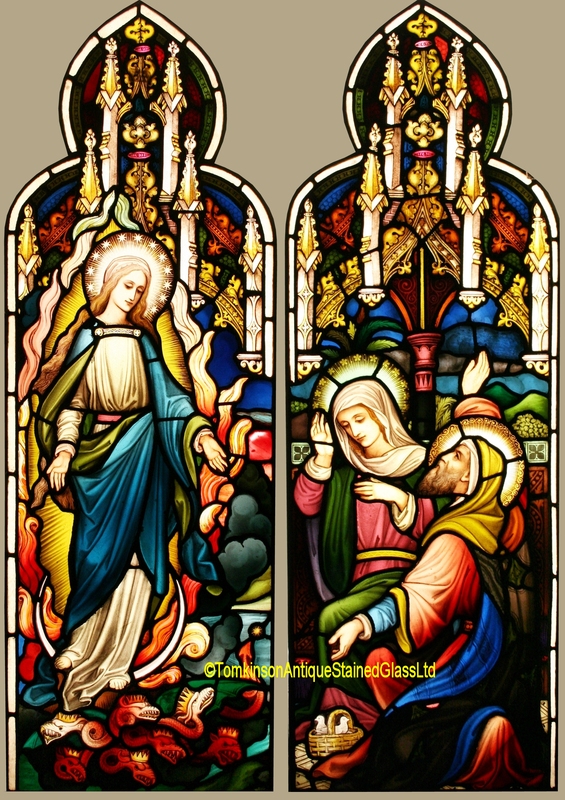 Both in pine frames for shipping/handling purposes.